The caps do not great on my monitor either, I agree on that. I was just saying I trust David M’s work over dvdbaver’s caps. What's going on with the shadow under the brim? Glad I’m not (too) crazy, then. There’s issues in the others, but that’s the most obvious example. I’m still willing to believe the Beaver stills are dodgy; the Rewind review mentions Second Sight used an old master so maybe that’s involved too? dwk, I just changed the number to 05 in the linked image to get the full-size version. Last edited by Adam Grikepelis on Sat Aug 04, 2018 11:39 am, edited 1 time in total. Aside from what looks like slightly elevated blacks (though my Macbook isn't calibrated, so not sure how true this is), I'd really love to see it outisde of those DVD Beaver screen caps, because the grain in some of them is verging on solarisation - especially the forehead of the guy in #6. I've unforetunately not seen it before, but there's definitely something off with the Blu-Ray screencaps - even if it's just the process used by the site. Given Second Sight's recent history, I'd be giving them the benefit of the doubt over DVD Beaver's checkered history, but it'd be nice to have more to go on before buying the set. Grain looks odd and very "painterly" in all of the Beaver caps. The very final one reminds me a lot of Criterion's Madame de shambles. There are other strange anomalies too; on the second comparison, check out Bieberkopf's ear (EDIT: fdm just beat me to it). And none of it helped by the weak blacks. If the caps are accurate, this restoration seems to have little in common with the other restorations the Fassbinder Foundation has undertaken, which makes sense if this is just the old 2006 go around that Criterion and Second Sight have already released on DVD. especially the forehead of the guy in #6. One might be very interested in buying this on BD and thus being curious about the technical merits of the release without having ever seen it before, nor any knowledge that this is the main character. Last edited by tenia on Sun Aug 05, 2018 4:10 am, edited 1 time in total. I checked the second disk from my set today (the aforementioned screenshot is from the beginning of the part IV - second disk), and I hadn't find such artifacts (watched it on my TV). I'm not an expert in any way, but to my mind the picture is great. The masters for BERLIN were done around 2006, if memory serves, and during the extremely grainy 16mm opticals, they use quite a bit of grain reduction. So, they won't look quite the same as newer restorations would. Also, I'm not convinced that the DVD Beaver screen grabs are entirely accurate, either, but without locations to compare to, it's hard to do a side-by-side. If you look at the first image grabbed from episodes VI/VII/VIII (the two women in closeup), at the bottom of the frame, there are temporal noise reduction artefacts that show a kind of blotchy ghost image of either the previous or next scene. I'm pretty certain that's not part of the master (and therefore not part of the disc). That's a common artefact of video processing "enhancements" being done by the graphics card or PowerDVD playback software. I would link directly to the image, but DVDBeaver's site blocks hot-linking in this way. So, although these masters do have some noise reduction to address what the restoration team must have felt was excessive grain (common thinking for work done around this time), it seems that DVD Beaver's captures show it with extra NR added by their playback software. PowerDVD does have this turned on by default. No offense to DVDBeaver - they have a great site for getting a rough idea of how different releases stack up - but we've been here so, so many times before regarding image accuracy. Don't lose sight that this was filmed in 16mm I recently dug out the Criterion set and they look terrible. I had hoped this would be from a new scan but there you go. THere's a recent 4K scan for Martha , also shot in 16mm from Studio Canal which does a very good job with grain and shadow detail. Anyway these are ordered paid for and on their way. Thanks David M. I’m not surprised by anything you said, and there’s obviously only so much you can do with master in that condition. I guess the problem is that DVD Beaver is one of the few sites that regularly do comparison reviews that cover both the extras & the AV, yet combine that with a history of questionable screen captures. So those looking for information before buying keep coming back, and we find ourselves where we are now. I didn't particularly mind the Criterion set at the time, knowing the limitations of the source while watching it (7 or 8 years ago). And sure there were a few times where a higher resolution format might have come in handy I remember thinking at the time, but for the most part it was a good watch, plus it is what it is, so how much better can it look? Here are some frame dumps taken from the encodes using DGIndexNV. Here's the controversial hat shot. I'm glad to report there's no banding/solarization actually on the disc. A comparison between the DVD Beaver image and the actual picture show that the former has incorrect color and levels as well as losing detail. The horrible added solarization/banding on the DVD Beaver screen grab is probably caused by whatever playback software is screwing around with the picture processing in 8-bit space and truncating. 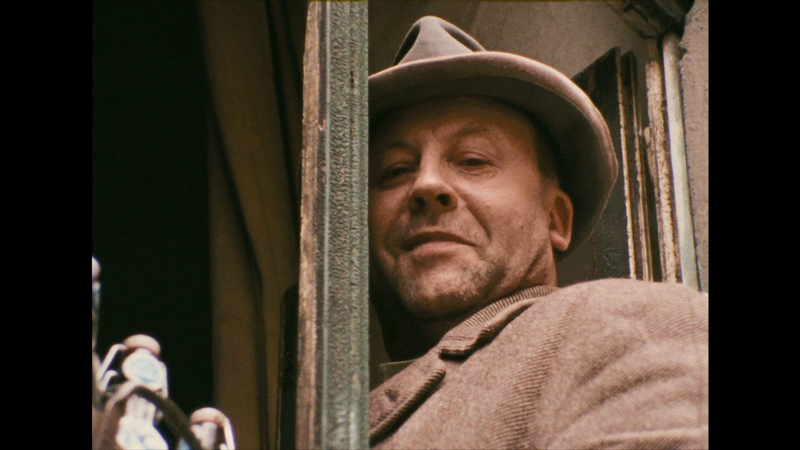 On the whole, I don't think the 2006 HD video masters really limit Berlin Alexanderplatz much. It doesn't look like it was restored yesterday (or shot yesterday for that matter, but that goes without saying and is a different discussion entirely), but I think it's comfortably in the area of "good older master" myself. Anyway - draw your own conclusions and decide if this set is for you based on some frame dumps that actually show what's on the discs. I desperately wish RWF foundation had found the dough to do a brand new scan. But that was never going to happen. I appreciate Davd M's work on this very much but there are massive limitations from the original 2k, the huge degrain and then grading which all affect the current situation. So grain, rez, color (god knows) sharpness and so on are profoundly limited and nobody can get past them in the final run. Canal of all people has recently done a 2K restoration and Blu Ray of Martha which was also shot in 16mm prior to this and - elements must be in good shape, it looks very nice. Thanks again, the work's very much appreciated. Dvdbeaver ‘reviews’ aren’t really reviews though, there is plenty of evidence that Gary doesn’t watch the discs (or at least not all of them). Hence all the references to ‘robust’ which is simply his way of saying higher bitrate so must be better (except where the caps are blatantly obvious). Yes, it's a nice website to have a rough first idea of how it might look like, but Gary's caps have been notoriously altered since DVD era (remember when Nick picked a fight with him over MoC's Nosferatu DVD ? I think there also was La vie de Jésus.) and it truly is a shame he prefered not to change anything to avoid newer caps clashing with older ones instead of ditching the older ones and fixing once and for all instead of keeping generating for years improper caps. And they are incorrect on many levels : on DVDs, they used to have EE that wasn't on the disc, we know they're incorrect on the colors too, and now seemingly they can generate this kind of filtering leading to banding. World on a Wire coming from Second Sight later this year according to an Amazon UK listing. With thanks to Finch for selling me his copy, I have watched the new Second Sight Blu-ray of The Changeling. I remember really liking it on first viewing on the old UK Momentum DVD in the early 2000s, but had been wary of reviewing it mostly because of the traumatic opening scene of the main character losing his wife and child in an accident (a bit like the similarly upsetting opening of the later Martin Sheen film The Believers). I was a bit more prepared for it this time around but it is still quite a shocking scene, but feels well utilised mostly because it sets up a pall over all the events which come afterwards, and is interesting in that it is not exactly used as a major plot point (though it sets up the situation by getting John traumatised and starting up a new phase of his life) but more as a psychological one to motivate the main character into investigating the ghostly shenanigans in the old house that he rents and giving credence to séances more than he perhaps otherwise would. In that sense it fits in well with other films around the same time that involve ‘ordinary people’, the more mundane the better, struggling with being on the receiving end of supernatural events (Poltergeist and The Entity being the two that most readily come to mind, but near the end of the film The Changeling seems to get close to The Omen as well, particularly in the Trish Van Devere getting chased along the balcony by the wheelchair being a little reminiscent of Lee Remick’s ‘accident’ in the earlier film; and the supernaturally targeted car crash of the threatening policeman in the Senator’s pay). It also sets up the contrast that only becomes clear near the end, with John’s grief at the loss of his family being suggested to have roused the ghost to try and communicate with him set against the murder of a child by their father for safeguarding financial security reasons. The two fathers end up trapped within the burning building at the end (though one only in spirit, in a rather daring move by the film! ), with the one who felt grief at loss and did all of the investigating of the backstory being allowed to escape! This is another film, like Candyman, which has a few fun scenes of people visiting libraries and looking at microfiche readers, meeting up to share info in restaruants, and so on. I particularly like the scene in which John is being show the changes to a significant plot of land by a curator showing him maps in a number of books laid open on a large table, with a circular camera move around it as they move one to the next. It makes me wish that Who Do You Think You Are? could employ such interesting set ups and camera moves in their shows! The Changeling is also a film that feels as if it connects to a couple of future ones. Maybe not directly but the way that the film goes on a small story with ‘ordinary’ protagonists to flawed politician with a dark secret trajectory made me think a bit of The Dead Zone which also makes me wonder if ‘entitled politician’ is the stand in for more general comments on class issues in both: John rents the house; the Senator owned it. Claire is a bright eyed recent recruit to the Historical Society who should not have rented that particular house out! ; her boss Mrs Huxley is the duplicitous head of her department who has been there long enough to know all of the owners, and have all the shady contacts. Plus both Mrs Huxley and the Senator being rather elderly suggests a kind of ‘older corrupt generation’ angle that have been keeping dark secrets festering for decades, which has to be overcome as well. The other later film which strongly came to mind was Ring. There is no cursed videotape (though there is a cursed piece of music which insinuates itself into our lead composers mind as the first reaching out to him. His occupation plus his specific grief of loss of a child really did make him, unfortunately for those trying to hide their historical crime, the perfect person to channel the spirit in the house!) and no race against time, though there is most definitely a well that someone was thrown into which has to get explored in the final section! And an idea that whilst the ghost is using the main character as a conduit at first, eventually it gets powerful enough to carry out its revenge by itself! I like the film a lot, perhaps placing it just below the original 1963 version of The Haunting in that in this film there is obviously a ghost at work and lots of shots of supernatural occurrences that leave no question as to their existence, but on those terms the effects, whilst obvious, are beautifully handled (especially the backwards-filmed appearance of the medallion from the mud at the bottom of the well) and eerie (the loud bangings being revealed to be the sounds of the hands of the child knocking against the sides of a tin bath as he was being drowned) and while often used to punctuate a scene do not undermine by the scare. In a way the ‘shock’ scenes often end quite suddenly and the film then cuts to a more mundane exposition scene, often occurring outside of the house, that acts as a kind of jarring contrast to the obviously supernatural thing that has just occurred with people acting more or less composed about things, which makes the previous scare seem even stranger! Plus there is that quite amusing image of the ambulance racing the Senator's already lifeless body past the blazing inferno of the mansion that does not seem to have attracted any firefighters at all! Perhaps there is a pointed comment there on just where the public services' interests lie, even when they're already too late! There's only one Next of Kin I care about, and I suspect that Second Sight isn't about to do a Blu-ray of an obscure Thorold Dickinson film. I haven't seen either but now I'm intrigued. Do you mean superior for a sequel or miles better than the first film?